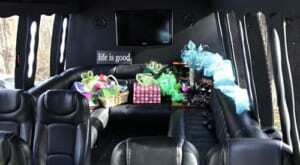 Airline Express Limousine - Airline Express Limousine & Car Service, Inc. Exceptional service and personal attention to our clients Is what sets us apart.Airline Express Limousine and Car Service, Inc. is locally owned and operated and has earned a reputation as the finest limousine service since 2001. Airline Express Limousine guarantees a high level of customer service. We pride ourselves on our professionalism, integrity, client safety and comfort, the knowledge and experience of our chauffeurs, and a commitment to value.